Mahmoudpour, A. (2014). Effects of Different Sizes of Mini-Tuber on Yield and Yield Components of Potato Variety Agria. International Journal of Advanced Biological and Biomedical Research, 2(4), 1099-1104. Alireza Mahmoudpour. "Effects of Different Sizes of Mini-Tuber on Yield and Yield Components of Potato Variety Agria". 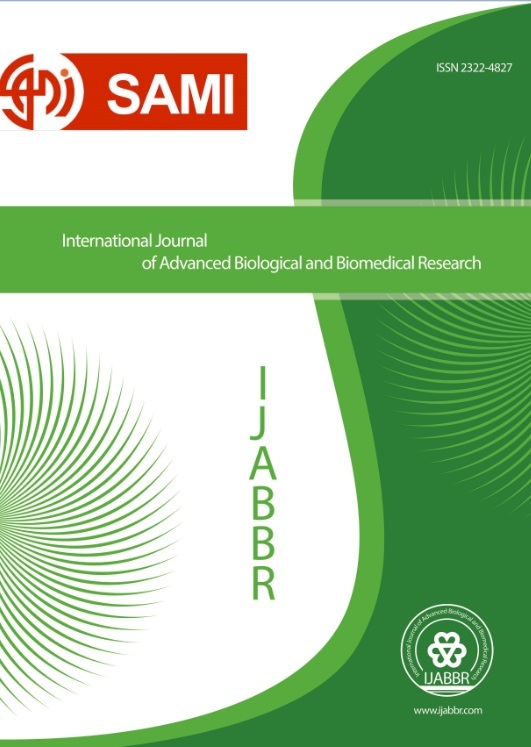 International Journal of Advanced Biological and Biomedical Research, 2, 4, 2014, 1099-1104. Mahmoudpour, A. (2014). 'Effects of Different Sizes of Mini-Tuber on Yield and Yield Components of Potato Variety Agria', International Journal of Advanced Biological and Biomedical Research, 2(4), pp. 1099-1104. Mahmoudpour, A. Effects of Different Sizes of Mini-Tuber on Yield and Yield Components of Potato Variety Agria. International Journal of Advanced Biological and Biomedical Research, 2014; 2(4): 1099-1104. Given the importance of potato in the economy and people’s nutrition, as well as planting of disease-free seeds, it seems necessary to produce healthy seeds through tissue culture. This study was conducted during 2012-2013 at the Research Center of Agricultural University of Tajikistan aiming to evaluate the effect of different sizes of mini-tuber on yield and yield components of potato crop. Agria variety plantlets derived from tissue culture were grown in pots; the yielded mini-tubers were divided according to size into lighter than 1 g, 1-5 g, 5-10 g, and heavier than 10 g treatments, which then were evaluated in randomized complete block design in four replications. The results showed that tuber weight, the mean of bush yield, and the yield per area unit increased following the increase in mini-tuber weight. The highest mean number of tubers was produced from 5-10 g mini-tubers. Examination of other traits showed that the mean number of eyes and diameter of tubers increased by increasing mini-tuber weight. According to the results, mini-tubers lighter than 1 g are not suitable for planting.